Fall Break Kindle Fire + Amazon $50 GC Giveaway! 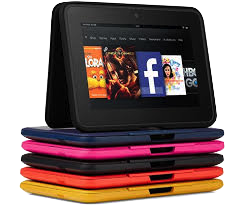 Anyone interested in winning a Kindle Fire or $50 Amazon gift card? I’m giving away a KINDLE FIRE 7″ HD and four (1+1+1+1 = 4) $50 Amazon Gift Cards in conjunction with Digital Book Today, The Kindle Book Review, and a crew of my author friends. Check out this brand NEW list of award winning and discounted books in our Fall Break Kindle Fire Giveaway, and the prizes are terror-ific! No tricks here, just good ol’ fashioned treats–five to be exact. We’re giving away a KINDLE FIRE 7? 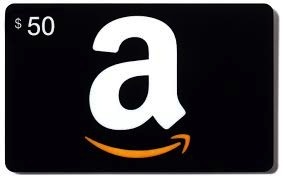 HD and thanks to our giveaway partner, Digital Book Today, they’ve added four (4) $50 Amazon Gift Cards. It’s easy, fun, and FREE. HOW: 1.) Enter the Rafflecopter giveaway below. 2.) ”LIKE” and “Follow” the sponsoring authors that write the kind of books you love to read. 3.) Scroll through the book covers below to find your NEW favorite authors. •••HINT••• Buy any of my friends Kindle Books (including A HIDDEN ELEMENT!) for an EXTRA 10 Entry Points Every Day. Thanks for having the Kindle Fire giveaway.